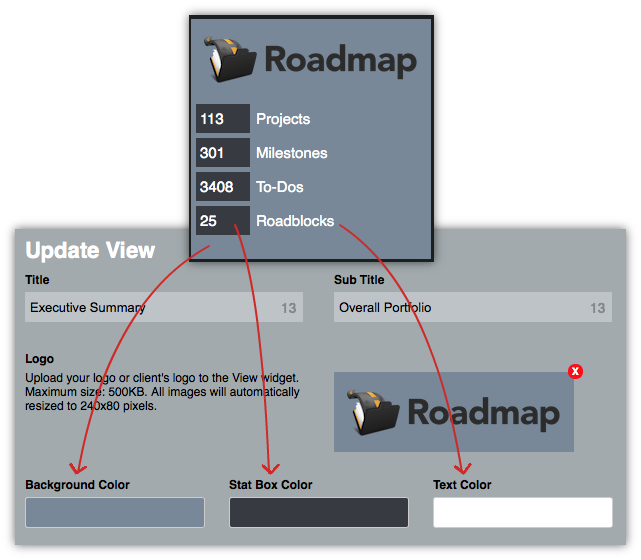 A view consists of widgets populated with project data from 1 or more projects (i.e. project universe). Navigate between views (A) or select a specific view from the drop-down menu (B). Edit view (C) includes view title + sub-title, logo, share URL, project universe, and delete. Select some or all projects (E). Selecting the top-most checkbox will automatically include new projects as they are added to your account. Filter by Client or Project Status (F). 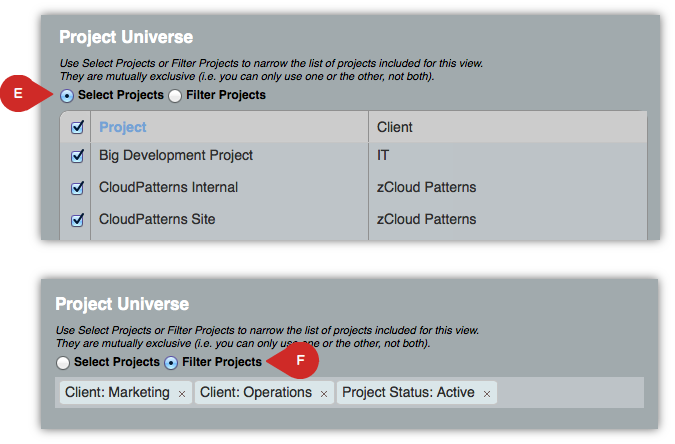 Filtering will automatically include any new project that matches the filter criteria. The view's "anchor" widget is always located in the upper-left corner and cannot be moved. Adjust the anchor widget colors in order to align with your logo's color palette. You can also choose pre-built color schemes for individual widgets.